On arrival you will be welcomed by your hosts Paul and Marguerite van Heesch. Dinner reservations at a restaurant can be made on the guest’s behalf. Prices for the winter season can be applied for. Please no smoking in the cottage. 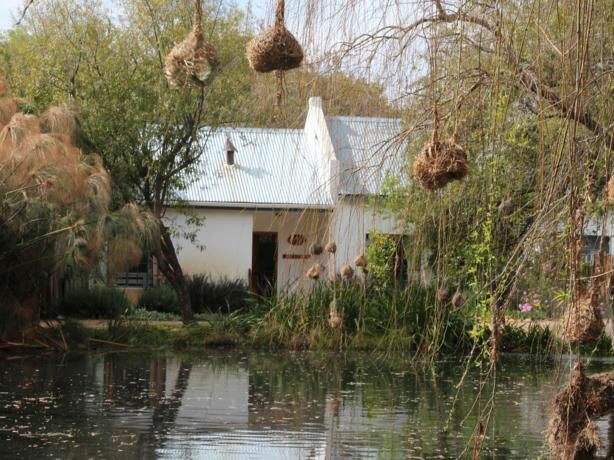 The cottage sleeps 2 to 4 people. Rates: R1,000 for two persons sharing OR R900 for a single person. 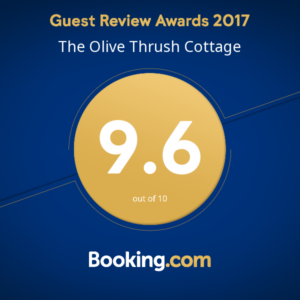 The Olive Thrush Cottage reserves the right to preauthorise credit cards prior to arrival.